God's Word is so deep and how to apply His Word to our lives is invaluable. The goal in this class is to determine what God said and what we are to do with it. Taught by Dan Hart. Age range 30-70. 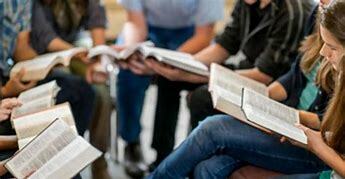 A new Sunday school class that is committed to diving into the Word of God and doing life together. Taught by Bryan and Laura Barthelmess. Age range: 25-45. Marriage is such a gift from God. 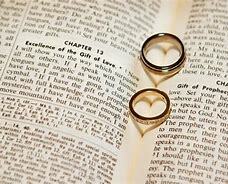 Families of Faith focuses on how God intended marriage and how to apply God's Word to strengthen our marriages. Taught by Roger & Martha Lawley. Age range: 25-55. Through the study of God's Word, this group of seasoned adults enjoy digging in and understand the Scriptures. Being steeped in God's Word, class discussion is deep and thought provoking. Taught by Greg Bradshaw. Age 65-99. Come and Join us as we dig into God’s Word for real life application of Scripture meeting on Wednesday evening @ 6:30pm. There are a few options to studying God’s Word. Women’s Bible Study meets on Monday evenings @ 7pm or Tuesday mornings @ 9:30am. This study meets every Friday morning at 6am. First Southern Baptist Church is a Southern Baptist affiliated church located in north central Wyoming. Our church exists to help people find and follow Jesus Christ. At First Southern we strive to be transparent and authentic in what we believe and why we believe it. If you have questions or concerns, please feel free to call or email anytime.